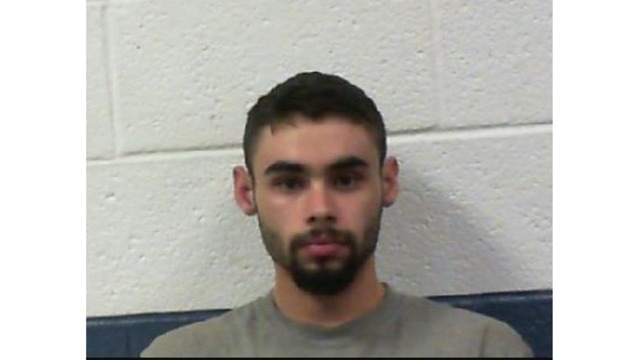 FAIRLEA, W. Va. (WVNS)-- A Greenbrier County man has been arrested after authorities said he attacked an officer and was found hiding in an emergency room while high on meth. Officers said Gavin Alderman was taken to the Greenbrier Valley Medical Center's Emergency Room because he used meth earlier in the day. He was later found by officers hiding behind the nurses desk. According to court documents, Alderman was trying to use the phone and repeatedly told the officer he wasn't real. When the officer tried to grab Aldermen, he was hit in the knee by Alderman's elbow. The officer said he had to use a taser on the suspect and was finally able to get him under control. Alderman reportedly told the officer he used meth three times Wednesday morning. According to the southern regional jail's website, Alderman faces two counts of battery on an government official, two counts of obstructing an officer and destruction of property. He remains in jail on $2,500 bond.